These two prisoners have much in common. They spend much of their day in a small space. They have very little to do. And they have very few companions to share their time with. They are confined and they know the meaning of the word vice. For the man behind bars vice has been many things. The thieving he got away with in his youth, stolen cigarettes from the corner shop and more recently the knife attack that led to his incarceration. For the horse –incarceration came before the vice. This is how he lives. The bars were put on the stable door because he’s in the habit of putting his head into the fresh air and rocking from side to side. It’s called weaving and, in the horse world, it’s known as a vice. It doesn’t sound such a great crime, does it, but weaving makes a horse lose condition, it lowers his value and there’s a real danger that other horses on the yard will pick up the habit themselves. 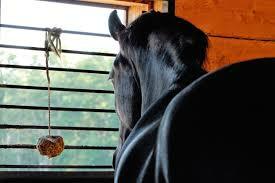 It most commonly begins when a horse is stabled – and bored – for long periods. The government’s chief inspector of prisons was talking about worsening conditions in this country’s goals which have led to an increased suicide rate. 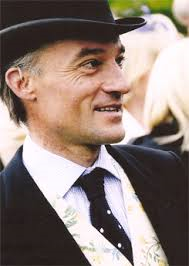 But he could have been talking about one of the most prestigious horse livery yards in the country. 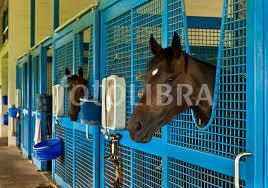 I went to see one such yard for myself after writing my controversial blog – They’re athletes, not dinner. 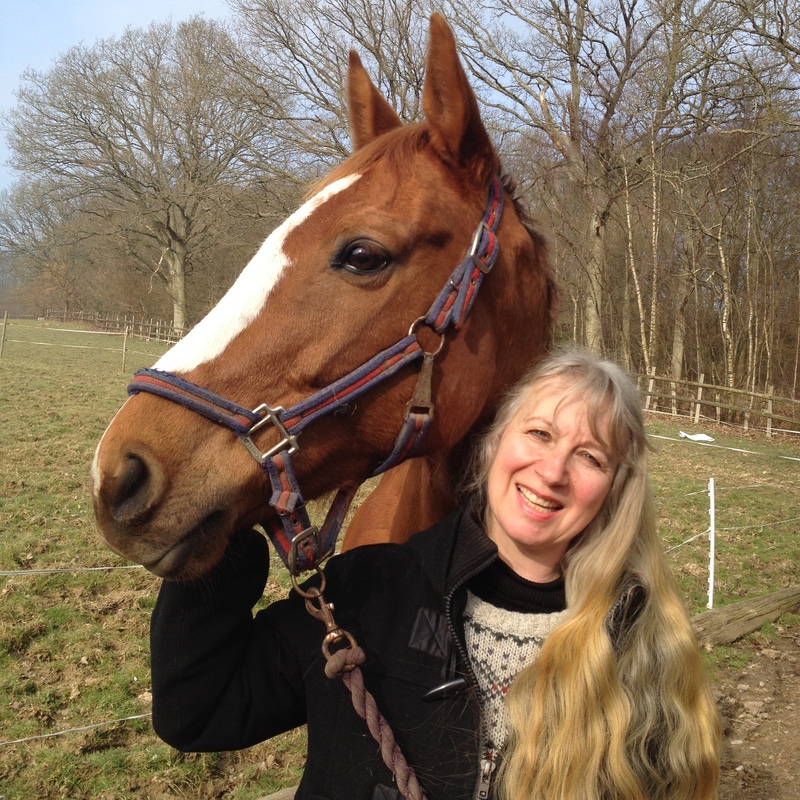 I got a guided tour because I wanted somewhere with good facilities for my promising sports horse (in my dreams!) 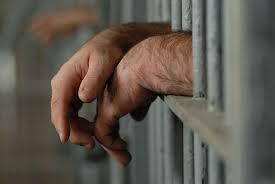 and I wanted to know if 24/7 confinement was as acceptable as I’d alleged. It was a pleasantly, sunny day and I was taken to an impressive, American-style barn where there were up to twenty horses in residence. How clean it was! How shining! There was hardly a dropping in sight. Grooms rushed about, everything was polished and I could have visited in white jodhpurs and come home clean. 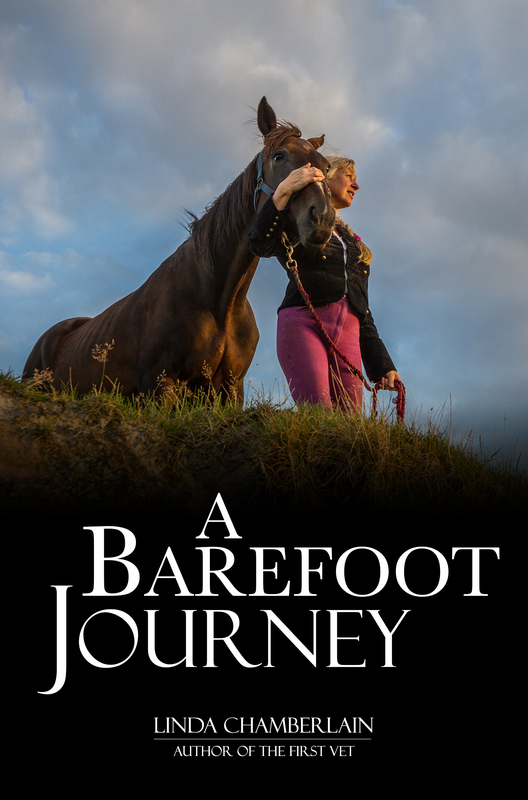 I would have to join a waiting list but, were I to be granted admittance, my horse would be skipped out four times a day, fed three times and exercised once by a rider or in the horse walker. I saw a horse in this very expensive machine going round and round without human intervention and my mind boggled. It’s difficult to understand why people go to such expense and trouble when they could go for a ride or, dare I suggest it, turn the horse out in a field. This splendid facility had very few fields, though. The youngsters were allowed out for a couple of hours but the ridden horses enjoyed the special treatment of central heating in winter, rubber stable mats and the occasional mirror. ‘Ah, such a good idea,’ I enthused. My acting talents were stretched to their limit. 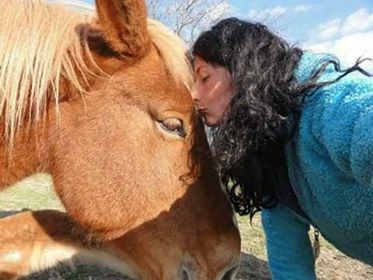 The stables were large units inside a huge barn, their doors looking inwards and the horses could at least see each other even though they couldn’t see the outside world or touch each other. Iron bars made sure there was no danger of that and then my guide pointed out a very positive feature – the drop-down, anti weaving bars on each and every stable door. I looked around and had a quick count. I estimated that half the horses had their bars up. I didn’t see any of them weaving – even with the deterrent of the bars a stressed horse can manage to weave in the stable. 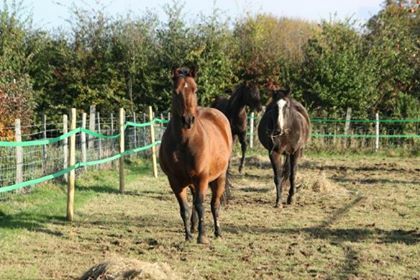 This livery yard knows its business and reduces the risk of stable vices with regular feeding and exercise. I’m reminded of a yard that a friend of mine worked at run by some Olympic riders where the fields were notable for their absence. She was a groom and Monday was a day off for many of them so the horses weren’t exercised. The horses at the livery yard I visited looked healthy; they were passive rather than anxious. Bored but subdued. 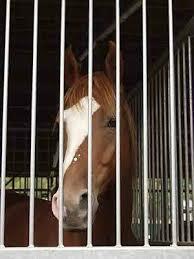 Horses take confinement amazingly well. Some develop vices but with careful management they accept the life we allow them although I’ve barely mentioned the health problems they endure. The state of their feet, I haven’t touched upon. So, no fields for most of the very expensive animals here. They are such hazardous places, after all. 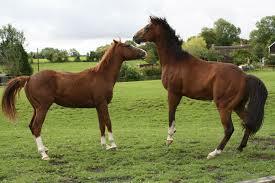 Horses have been known to run in them, kick and play with each other or eat some grass. 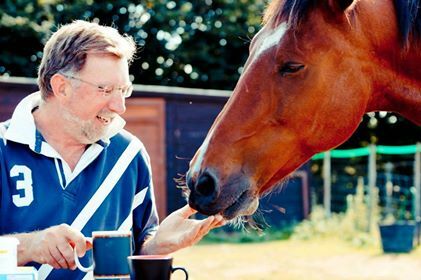 I’ve even seen a horse drop to the ground and roll in the mud – in fact, that’s something mine will do every day just for the comfort and joy of it although I fear it might worry some of the owners from the livery yard. Not mud! It’s lovely to return to my own yard where the horses are appreciating that the sun is warm rather than hot. They’ve spent a bit of time in the field shelter judging by the calling cards they’ve left me and are now on their track, grazing together. They see me and saunter over since it’s getting close to supper time. The others hang back because Carrie is the boss and a flick of her ear warns that she’s to have the first hello with me. She doesn’t linger since I have nothing beyond a stroke and heads to the gate; she’ll wait ‘til the bucket is ready. I check the rest. There are no bites or kicks to worry me but they are dusty from rolling. Once we’ve done our greetings, I’m ignored. I feed them, so I’m important but I’m not as vital to them as they are to each other. They follow Carrie across the stony yard to the gate. Tao rubs her face on Carrie’s behind and snorts. Carrie nods her head, frowns. Tao respectfully backs off. They don’t say much but they understand each other. If only humans understood them as well. 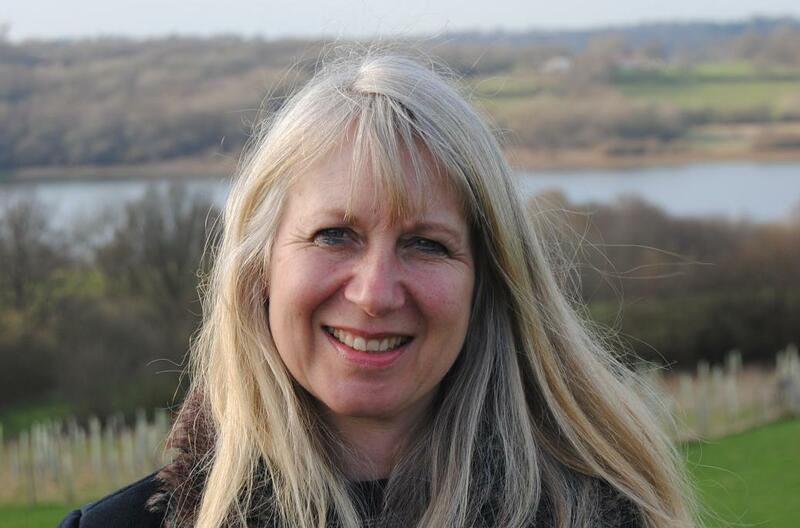 My thanks to author Janice Preston who has nominated me for an inspiring blog award. 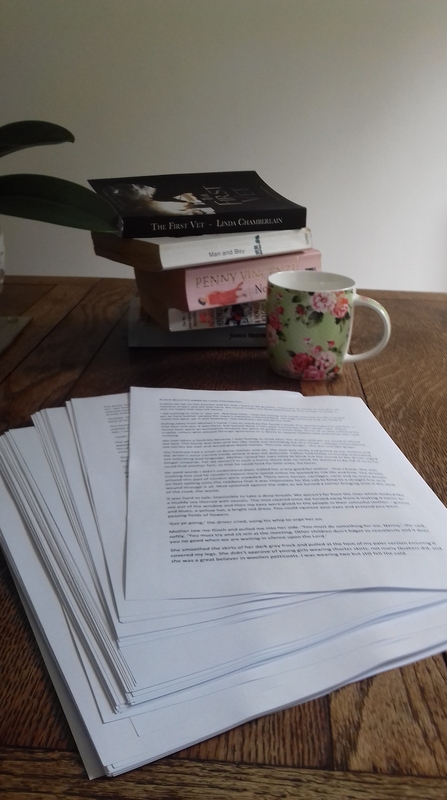 Wow, that made me chuffed – and made me check my wardrobe to make sure I had something suitable for a possible awards ceremony at the Savoy. It might not be that sort of award, but still. Now I must dash – I’m off to buy Janice’s new book, Mary and the Marquis. It features a horse so I’m going to read it. 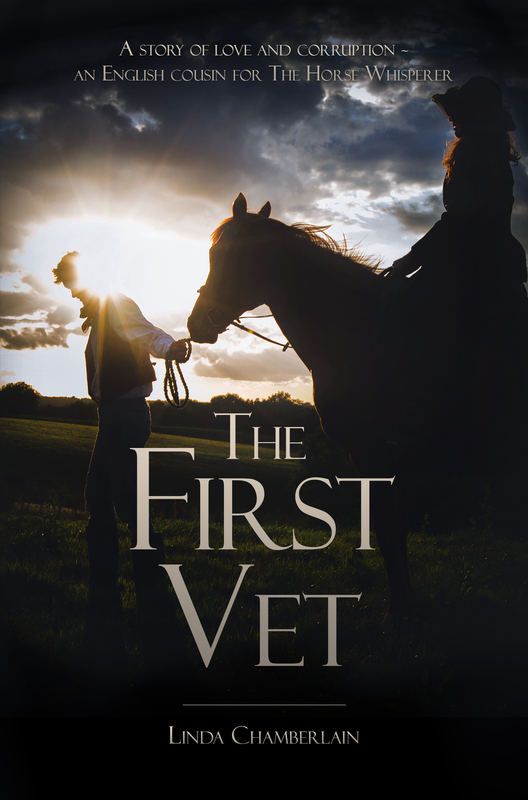 Click on the Follow button at the top of the page to make sure you get notified of my next blog or to hear news of my debut novel, The First Vet, which is being published shortly. Set in the late 18th century, it’s a story of love and corruption and is inspired by the campaigning work of Bracy Clark. And leave me feedback – I would love to hear from you. 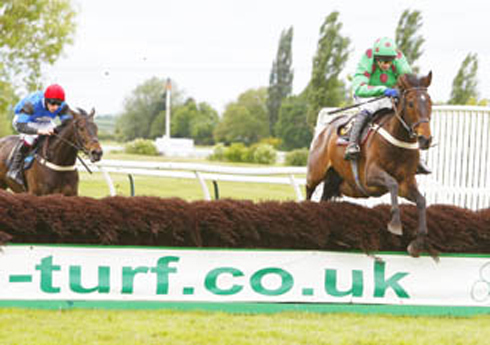 World-class sprinter Usain Bolt is to learn the secrets of the horse world in a bid to stay at the top of his game. The fastest man in the world was so impressed by the speed and performance of equine Olympians that he has decided to follow in their hoof steps. On the advice of medical experts, he is having a specially-made, metal attachment, much like a horse shoe, fixed to his trainers. The design of the attachment is a closely guarded secret but I can reveal that Bolt plans to wear them 24/7. His trainers argue that the Jamaican athlete will get used to the metal shoes more quickly if he wears them all the time. 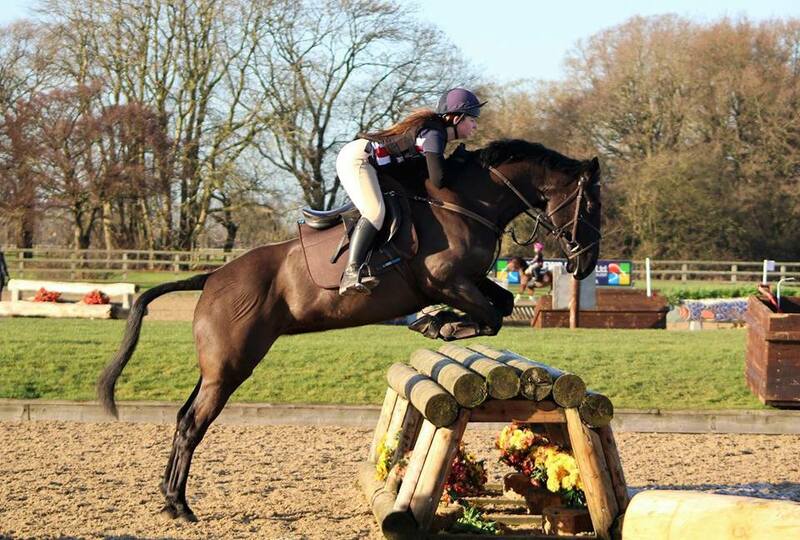 They hope they will guard against slipping during competitions and minimise the risk of exasperating a troublesome tendon injury that has setback his training in the past. They also hope he will be able to sprint faster than a horse. ‘Oh, for good?’ I asked the 6 foot 5 inch star of the track. Doubters have speculated that running on metal might be harmful for the athlete but Bolt is confident that medical advice is correct. He’s been told that running without them might have a detrimental effect on the physiology of his foot. Supporters of the shoe say it can relieve many problems of the foot, including arthritic pain – as well as give support to painful heels and protect weak toe nails. 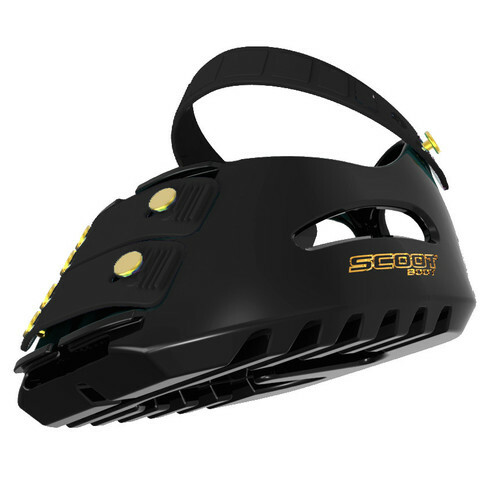 The Olympic authorities have given approval and other athletes are expected to copy the innovation. 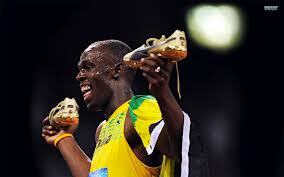 Bolt predicts that very soon there won’t be an athlete in the world without metal shoes. In another daring move inspired by the horse world, Bolt is dramatically changing his lifestyle. Apart from the many hours spent in training and competition, he is to be confined to what his trainers describe as a focus room. There will be no TV, no space for friends and therefore no distractions. There’s enough room for his bed and he’ll be given an innovative ball to play with which lets out small amounts of food if he rolls it around the floor. He’s been confined to his focus room for two weeks and his trainers are pleased it is having the desired effect. Apply the ideology to a human and suddenly it makes you question the treatment of horses, doesn’t it? Apologies to Usain Bolt for the above article. He seemed such a nice guy that I thought he wouldn’t mind his name being used to support a campaign to free equine athletes.